Articles for December 2009 Year » SoftLab-Portable.com - Portable Soft! MP3Producer is a perfect tool for converting audio CDs to the most popular compressed audio formats such as MP3, WMA, WAV, OGG Vorbis. With this software you can also easily convert WAV to MP3, WMA or OGG; as well as decode MP3, OGG and WMA to WAV. Advanced FreeDB function, ID3 tagging allows you to save and edit disk info in audio files. MP3Producer has the FreeDB function with customizable settings and search options that help you to retrieve disk information (e.g. the artist name, the album title, the genre of music and track names) from FreeDB, a music information database on the Internet. ID3v1,2 support allows you to save and edit this information in MP3, OGG and WMA files. Smart PDF Converter is both easy to use and powerful. If you only want to convert documents, and don't want to fuss with complex settings, you can select the file you want to convert and click the Convert button. And you're finished. Smart PDF Converter is that fast and easy. The Pro version converts your edited documents back to the PDF file format. The software supports any printable document format. Picture Resize Genius includes the ability to batch resize pictures, batch resize photos, and perform batch image resize functions for the purpose of email and Web sites, or just to save space on your hard drive, or whatever reason you might have. The resizing allows you to force a specified width or height and keep the proportions, or define fixed image dimensions. Besides, the program can add a text or image logo overlay (watermark), rename file and more. You will be able to process thousands of files in a few seconds. Picture Resize Genius can keep all metadata information (Jpg EXIF,Tiff Tags etc) and creating date time for your pictures,Images and photos. Picture Resize Genius support more than 40 picture file format. And it can convert the file format to GIF, JPG, TIFF, PNG, BMP, MIFF or TGA etc. SmartSync Pro is a universal full-featured solution to back up and synchronize data to the local drive, external Flash/USB/ZIP drive, CD/DVD, NAS, network volumes or even remote computer. If your data has been corrupted or lost, you will easily restore it from a backup copy. Backup to any media device. ZIP compression with AES 256-bit encryption. Enhanced scheduler. Flexible filtering system. Email notifications. ConvertHQ is your complete audio & video conversion utility. It converts files to all popular audio & video file formats - for your computer, portable media player, mobile phone, digital media appliance, games console and more. If you need to convert an audio or video file, then ConvertHQ is the perfect choice! ConvertHQ is optimized for high-quality conversions, yet has easy-to-use presets for each file format so you do not have to be an audio/video expert to create great-looking, great-sounding files! Just select your file and the file format to convert to. Then click Start and that's it! Tired of Windows crashing? Sick of having software lock up or taking forever to load? The problem could be all of those incorrect registry entries caused by software installation and un-installations that went awry. 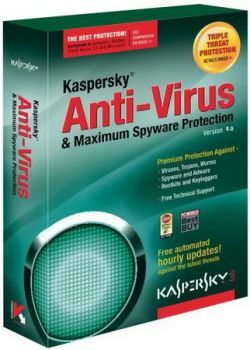 Did you know that even after your anti-virus software and anti-spyware software has removed intruders from your computer, your registry can still be corrupted, causing you headaches? See how Registry Repair Pro can help. Increase the download speed and stability! Flashget can increase download speed from 6-10 times. It uses MHT (Multi-server Hyper-threading Transportation) technique and optimization arithmetic and it. Support HTTP,FTP,BT,eMule and other various protocols. FlashGet supports HTTP,FTP,BT,MMS,RTSP and other protocols. It is seamless between protocols and there is no need to operate manually for download switch. The One Touch technique optimizes BT download and can automatically download target files after getting seeds information, hence no need to operate again. Powerful files management feature. It supports unlimited categories. Each category is assigned a download saving directory. The powerful management feature can support drag and drop, adding and description, search, rename, etc. Friendly Net Viewer is a powerful and user-friendly application for network administration, visualization and monitoring. Visualization of your computer network as a beautiful animated screen. Notification when any server wakes up or goes down. Tracking user access and files opened on your computer via the network. Graphical TraceRoute. Accurate CPU Benchmark Software. CPU Speed Professional will accurately benchmark your PC processor speed. Our software records and reviews thousands of processor speeds which are added daily to the worldwide CPU ranking website. Our CPU comparison tables chart and review speeds of each of the different Intel and AMD processors. CPU Speed Pro will stress test your CPU and works on all processors types, including servers, workstations, dual core, quad core, laptop, netbook and mobile computers. Picture Downloader for find, view, download and manage millions of pictures from the web easily. It is a useful utility that helps you find, download and organize pictures you find on the web. Very popular with digital artists, designers, photographers, webmasters, journalists and other people who need to quickly and efficiently get pictures form the web in large volumes.